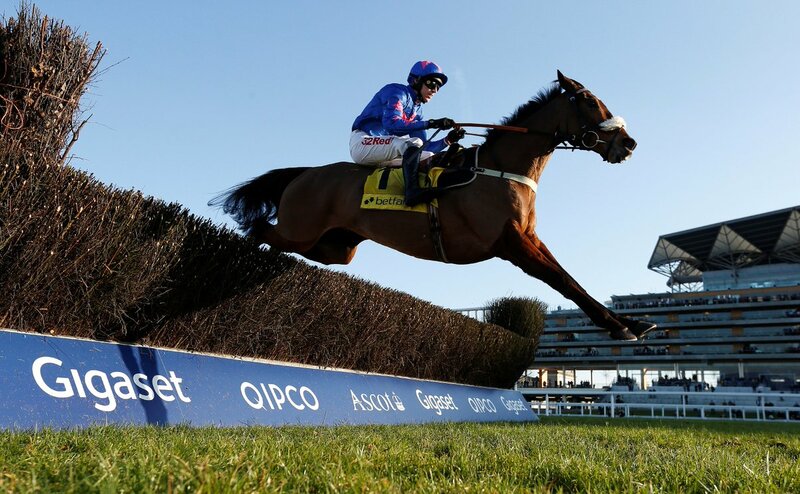 Cue Card is back on track to win his first Cheltenham Gold Cup next month at the Festival following a comfortable success in the Ascot Hurdle in what was arguably his finest performance of the campaign so far. The 11-year-old was entered in both the Ryanair Chase - the race he won in 2013 - and the Cheltenham Gold Cup at the start of the season. However, at the latest declarations for the two races, his name was only in the Blue Riband contest at the meeting which is a clear indication he will run on day four over 3m2f. Cue Card’s success last Saturday was his eighth Grade One victory in what has been a fine career so far for Jean Bishop’s runner. He went off at 4/9 in the Ascot Chase which featured Taquin Du Seuil and Royal Regatta and he justified that short price to win by 15 lengths. Joined by his usual pilot Paddy Brennan, the pair tracked Royal Regatta who made the running and led just before the third fence from home. The Colin Tizzard-trained horse then drew clear of the field as they could not match his speed in the closing stages of the contest. The two-time Cheltenham Festival winner is now available at 9/2 in the betting for the Cheltenham Gold Cup following his latest victory. Cue Card was travelling very well in the same race in 2016 up until the third fence from home where he made an error and came down. At the start of the 2016/17 season, Cue Card was right near the top of the Cheltenham Gold Cup betting following a fantastic campaign previously. He made his seasonal reappearance at Wetherby once again where he was looking to defend his crown in the Charlie Hall Chase which is a Grade Two contest at the West Yorkshire racecourse. Unfortunately for connections, he was very flat on his opening run and could only finish third in the race which was won by Irish Cavalier. Tizzard’s chaser made it a hat-trick of wins in the Chase in November where he bounced back well from his Wetherby defeat to claim the opening leg of the Chase Triple Crown at Haydock and remain on course for the £1 million bonus handed to connections of any horse who wins the Betfair Chase, King George VI Chase and Cheltenham Gold Cup in the same season. Sadly for Bishop, her horse was unable to prevail again at Kempton in the prestigious 3m chase on Boxing Day as her chaser’s stablemate Thistlecrack beat him to establish himself as the clear favourite for the feature race at the Cheltenham Festival. 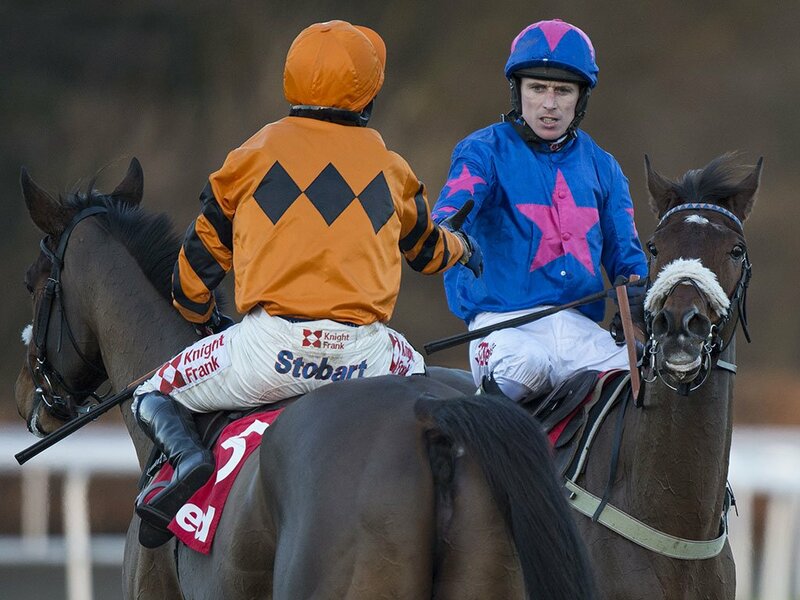 Cue Card will be looking to become the first 11-year-old in 55 years to win the Cheltenham Gold Cup next month. His run at Ascot suggests he is a real contender but if he is to be successful he will have to beat his much younger stablemates Thistlecrack and Native River who also have an excellent chance to give Tizzard his maiden victory in the race.